As stated in the GHS Mission Statement, GHS seeks to "inspire a love of learning" and to "empower each child to acheive his or her personal best". To this end, we believe that ensuring a solid foundation of learning skills at an early age increases the confidence and the capacity of each child to be an active participant in the education process. 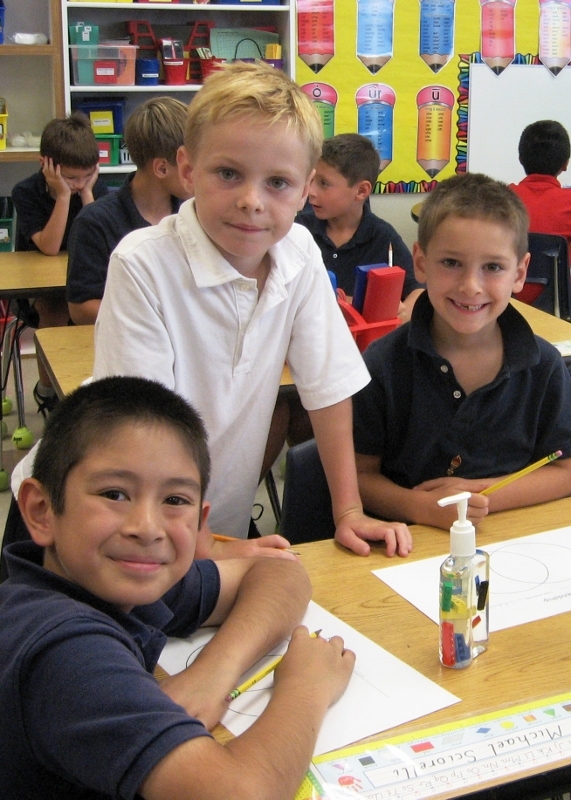 Offering a strong program in reading, writing, mathematics, technology skills and public speaking, we prepare students to assume an age-appropriate role in their own education. As skills increase, students' facility with learning resources and research tools, collaboration, teamwork and communication skills make them more effective learners, empowered students and enthusiastic and able to take advantage of the many educational and enrichment opportunities available at GHS, in high school and beyond. As skills develop and students get more involved in the learning process, creative and critical thinking skills are developed and problem-solving strategies enhanced. These thinking skills are directed by teachers towards carefully chosen "real world" activities so the students can experience the real applications and results of their own efforts. In addition, our curriculum strands are integrated whenever possible and beneficial. As students work on cross-curriculuar projects involving language arts, technology, art and science for example, both skills and informationlearned are placed in context with one another. Enrichment classes, the athletics program, drama productions, leadership are a few of the additional ways that students can find to discover new interests, develop strengths and become well-rounded in their abilities. These opportunities ensure every GHS student finds an arena in which to feel successful and earn recognition. 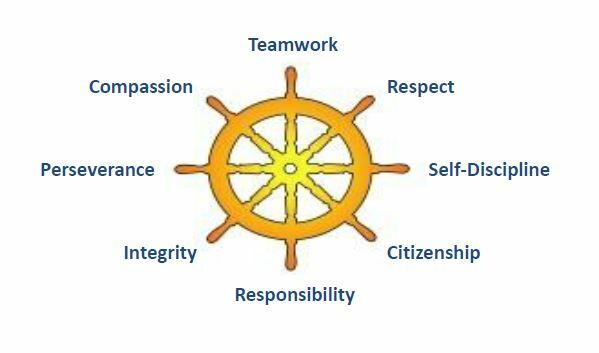 Our character program is guided by eight values of integrity, perserverance, compassion, teamwork, respect, responsibility, self-discipline and citizenship. While these values certainly inform and encourage strong character, good behavior and a healthy community, they also inform how a GHS student approaches their academics both as individuals and when collaborating with others. GHS believes in challenging each student at his or her ability-level, providing him or her with the opportunity to progress at his or her own pace. During reading and math, GHS students are taught through small group, ability-based learning with differentiated instruction. This means our students are regularly assessed and grouped according to their mastery of a given subject matter, and the teachers provide within those groups different modes for learning that appeal to all types of learners. Because most groups are three to ten students, the teachers are thoroughly familiar with each child's progress, and this enables GHS students to move fluidly between groups based upon their individual growth, development and needs. Flexible grouping is used to compliment the above approach when appropriate, especially in the upper grades and other subject areas. Flexible grouping is a strategy in which children are grouped and regrouped informally throughout the day. Flexible grouping offers different ways for students to acquire knowledge; mirrors real-life situations in which students work collaboratively to solve problems; and increases confidence as students take more control over and direct their own learning. The result is a supportive and fluid environment that encourages motivated, self-confident and self-directed students.